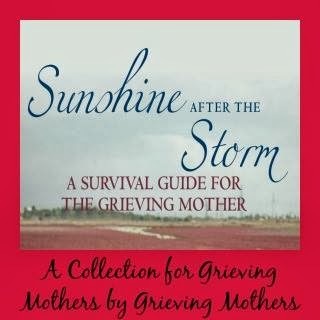 The first Saturday of every month I will review a book about stillbirth, grief, or child loss. If you have a book that you would like reviewed, please feel free to e-mail me and I will link my review of your book back to your blog and list it on the "Book" page of this blog. This month I will feature After Finely, by Mel Scott, Finley's Mom. I was honored to have Mel reach out to me and ask to review her book. 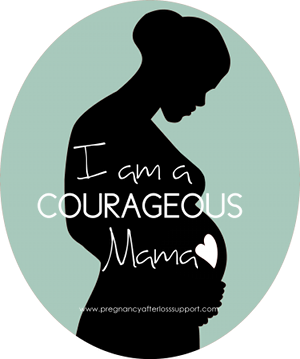 It is with courage, honesty, and bravery that she shares her story about her journey through grief after the stillbirth of her son Finley in August of 2009. Thank you, Mel, for sharing your story with the world in effort to help others heal and learn from your strength and honest words. After Finely is an honest account of the thoughts and emotions that a newly bereaved mother goes through in the first few months after child loss. Mel experiences the stillbirth of her son Finely at 40 weeks and 5 days pregnant. Minutes before Finley was about to enter this world his heart beat stopped and that is where Mel's journey through grief and towards healing begins. Her book starts five days after the birth and death of her son. From there she walks you through her candid story, told in the form of her journal entries, about the grief experienced after such a tragedy. She writes boldly about the intimacies of her grieving process in the first days after Finley's death, where she spends three full days in the hospital mothering him by bathing him, rocking him, celebrating him, even in death. She then describes the time she spends with Finley as she decides to bring his body home to introduce him to his room, his clothes, and his toys that his parents so lovingly created for him in joyful anticipation of his arrival. In her book Mel shares about how she used this time with Finley to fulfill her needs to parent, even in the wake of her son's death. Health professionals, nurses, doctors, midwives, funeral directors and psychotherapists, like myself, can learn from this woman's courageous account of how she chose to grieve her loss in a different way than most parents, by spending precious time with her son after his death. Parents who experience pregnancy loss, stillbirth, or infant death, who do not have surviving children, grieve two losses, that of their child and that of their dreams of being a parent. Mel Scott teaches us how even in the dark moments, right after a stillbirth or infant death, we can and need to bond with our deceased child's body in order to find acceptance of the death. This will help bereaved parents move towards their grief, setting a healthy framework in which their healing journey can begin. Through her journal entries, Mel continues to write about her journey of questioning her faith, creating meaning out of her loss and her son's existence, recreating her identity as a parent and a person, as well as sharing the skills she found helpful in quieting her grief. From a mental health perspective, Mel grieves the loss of her son in a profound and incredibly healing way. Showing us through her words how she continues to form a relationship and mother her son by writing letters, caring for her son's grave on a regular basis, and honoring his memory by inspiring and helping others in their grief journey after stillbirth. Mel Scott's book ends three months after the loss of Finley, but his legacy has lived on through her efforts to help others. Mel started two wonderful organizations in the United Kingdom to aid other bereaved parents in their time of darkness. Finley's Footprints is an organization and online resource focused on improving the consistency of care parents receive following neonatal death, miscarriage, and stillbirth. Towards Tomorrow Together is an organization that raises funds to support parents who have lost a baby or child at any age or stage of pregnancy in order to help guide them in taking steps towards tomorrow through providing acknowledgement packs, cold cots/cooling plates, and financial assistance to family's experience pregnancy loss. 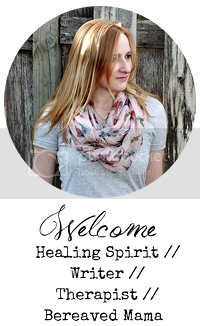 Mel Scott is a mom of two angels and an Occupational Therapist located in the U.K. She has worked for many years in the mental health field and hopes to help other bereaved parents like herself through providing them with resources and healing techniques she found helpful during her intense time of grief. To purchase Mel Scott's Book After Finley click on her book below. I'm so sorry you needed to find my blog. I'm sorry for your loss. Thank you for your kind words about the blog. In-regards to Finley's Mom, from the book my understanding is she spent time with him in the hospital and then brought him home after his body was checked in with the funeral home. I believe he spent time with her and then went back to someplace cool and then time with her. I don't think your question is morbid. She even talks in the book about how he started to show signs of decay. I think what she did takes a lot of bravery and is important for some in the grieving process. I know she is a big proponent of cold cots and that there are services out there now that help you bring your stillborn baby home if that is what you would like to do. You can see more about Finley's story at http://www.finleysfootprints.com/.